I believe you must be several garments you really very like in your wardrobe. And even you sell high-end and luxury hanger in you store or online. Do you think of how to display garment? So it is very important to customize high-end hanger to display your garment. Let you love your clothes, and make your customer remember your clothes and love your clothes. We are a high-end customized hanger factory. For the wooden hanger,we can customize your hanger shape, size, logo, hook and color as your request. For the customized hanger, it is better to display and match your clothes. Our hanger is not only high quality and practical, but also very high-end and beautiful. 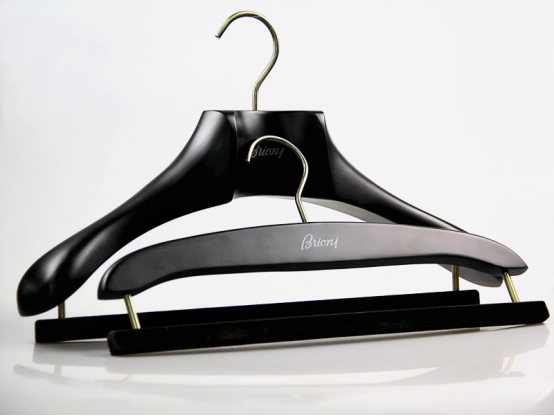 For the plastic hanger, we have three surface effect: electroplated, velvet, rubberized effect. And we can customize the hanger logo, color, hook as your request. Are you confused to find a high-end and customized hanger factory? Pls contact us. Every part of your life is perfect, even if the hanger in your wardrobe or store, and enjoy a exquisite life. Previous:An amazing magic: hanger for shirt become hanger for coat!